This exhibition explores the Alcatraz themes through the lens of identity, specifically looking at how the prison system frames the identity of prisoners, and influences personal identity for prisoners, their families, and others who have not had a direct relationship with incarceration. Visual arts and the prison system both produce symbolic representations of individuals. Correctional symbolism can be viewed as a form of disciplinary action, reducing the color, depth and personality of an individual’s identity to an anonymous number. Visual art has its own use of symbolism that allows identities and personal experience to become legible, and move into public concern. Monica Lundy’s paintings reveal the evolution of mug shots within the California prison system. She is a frequent visitor to the Sacramento archives and researches how the correctional system files and categorizes a civilian into the prison population. 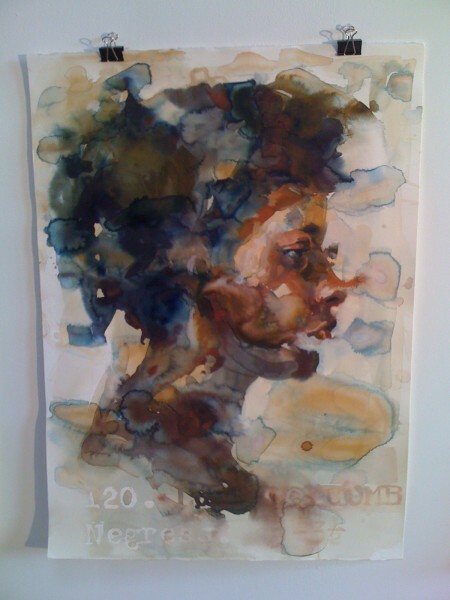 Her displayed artwork, excerpts from her Women of San Quentin series, shows the evolving efficiency of mug shots – a penalty that reduces personal history to a number, date, and a crime. Monica is interested in the immense social history that catalogues those who have passed through institutional systems and out of memory. She presents this interest through a method of painting that is a kind of entropy; she allows the image to build itself through the natural movement of mediums, alluding to decay and the degrading walls of old institutions. She frames a unique moment of transformation through her paintings of fresh prisoners, first introduced into the system, and subsequently passed out of memory. Evan Bissell engages in collaborative art making, utilizing creativity to access unseen realities and generating creative expressions of personal and community truths. His contributions to this exhibition, a portion of the larger project What Cannot Be Taken Away, were created in partnership with multiple programs of Community Works West. 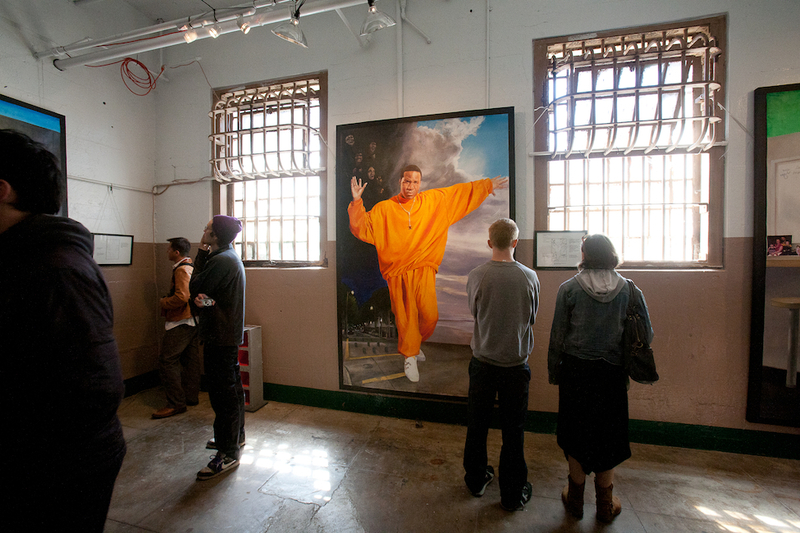 On April 9, 2011, We Players and the National Park Service presented a guided tour, gallery viewing, and panel discussion (in the historic Alcatraz Hospital) on transformation of identity, restorative justice, and the methodology of state produced inmate portraiture. On June 4, 2011, We Players and the National Park Service presented a closing workshop for In Visible Categories: Invisible People. The event included: a guided walk and informal conversation with We Players on Alcatraz 2011 collaborators; gallery viewing (final opportunity before deinstall! ); a workshop on relational identity with artist Evan Bissell; discussion; and exhibition-closing remarks. Using oranges, mirrored paper, pens and memory, visitors will engage in the opening exercise of the 5 month collaborative process of What Cannot Be Taken Away: Families and Prisons Project. The one and a half hour workshop will combine elements of meditation, drawing and writing to reflect on the complex legacies, experiences and circumstances that have created our present day lives. The workshop culminates with participants writing a letter to an ancestor they have never met.